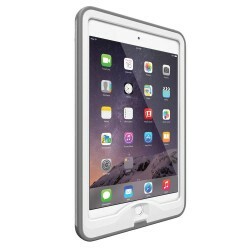 The white fre Case from LifeProof protects your iPad Mini against water, snow, dirt, and shocks. The.. This black nuud Case from LifeProof is designed to provide a high degree of protection for your iPad.. This white nuud Case from LifeProof is designed to provide a high degree of protection for your..